Water polo is an exciting Olympic sport that develops high fitness levels, ball skills and tactical team play. New members, will build on their swimming ability and learn learn ball handling and team awareness in this enjoyable and fast-moving sport. The club runs U12, U14, U16, U18 teams as well as development and senior teams. The U14, U16, U18 and senior teams play in ASA Eastern Region leagues. Both boys and girls of all ability are welcome. Please arrive on pool side 15 minutes before training begins to allow for a full land warm up. 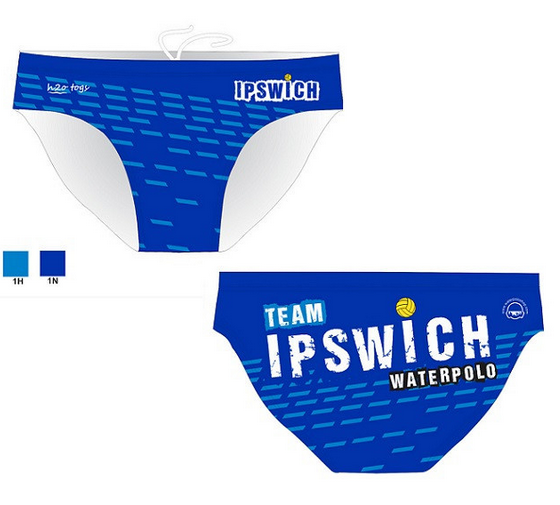 The Ipswich costumes are now uploaded on to the Waterpoloshop.com website for re-orders. If you want a new pair of trunks or costume please use this facility from now on. Measurement guidelines are available on the website. Find out more about how water polo is played. Chris's guide covers the main rules of the game as played at club level. If you want to know more visit FINA's website. Team Ipswich Juniors finished the 2014 season at the top of all three age group leagues (under 18, 16 and 14) in the Eastern Water Polo League – a fantastic achievement! 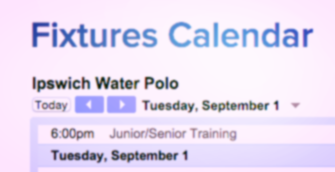 Keep up to date with the latest training sessions and matches, U12, U14, U16, U18 women's and senior's using our Google Calendar. If you have any queries, contact us. The kind folks at Gilmour Piper Physiotherapists would like to offer 25% discount to all Team Ipswich Water Polo members. Get in touch with them on 01473 217592.